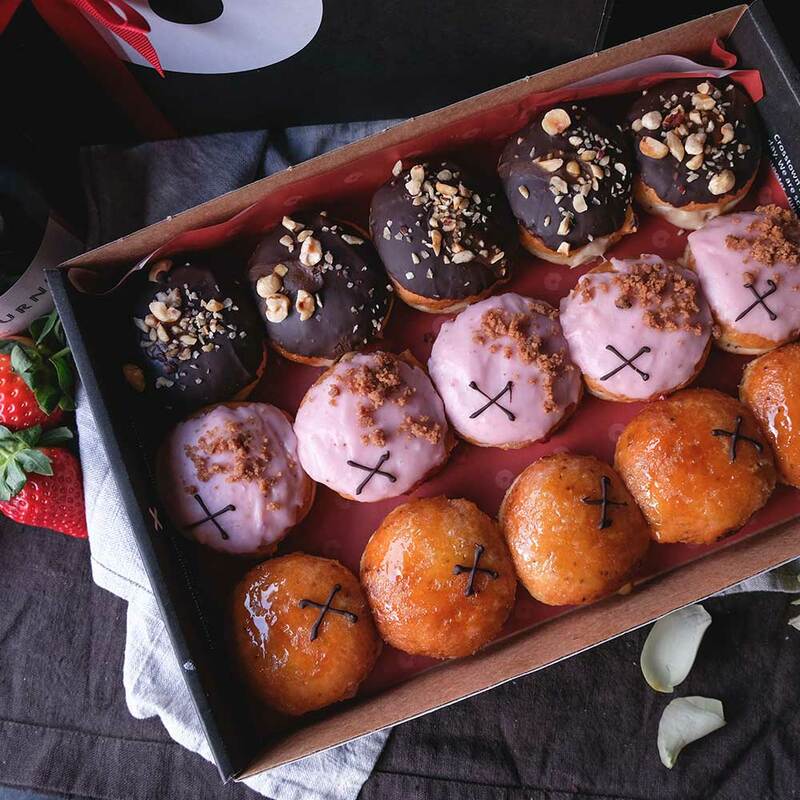 A box of 15 limited edition vegan Valentine’s Day doughnuts, including the Strawberry & Sparkling Rosé, Banana Cream & Miso Caramel and Crème Brûlée flavours. Valentine’s Day boxes are available in all locations & on-demand on 14th February only. Place a pre-order for guaranteed delivery or collection.